Experience more power with the new Honor 8C. Giving you an aspect ratio of 19:9, you will be able to get a FullView display on the 15.9cm screen. The Honor 8C comes along with a long lasting battery life, high quality camera, powerful performance and many exciting features that is sure to fulfill your smartphone requirements. Shop online exclusively at Amazon.in for the Honor 8C. Use your phone without the worry of running out of battery juice as the Honor 8C comes with a massive 4,000 mAh battery. Giving you up to 2 days of power from a single charge, you will be able to use the Honor 8C without the hassle of carrying around your phone charger or bulky power bank. Power through all your daily tasks seamlessly as the new Honor 8C is packed with power. Shop for the latest Honor 8C at the best price online, exclusives on Amazon India. With a FullView display, you will be able to view immersive and stunning visuals on the Honor 8C. Whether it is your favourite movies or best memories from the camera roll, you will be able to view them with this stunning 15.9cm display. Also, get the Eye Comfort Mode that reduces blue light radiation and is designed to protect your eyes. With an ergonomic design, you will be able to get a great grip on the phone. Allowing more entertainment without running out of power, the Honor 8C delivers an incredible viewing experience every time. Buy the Honor 8C exclusively on Amazon India. If you love taking photos and videos on your smartphone, the Honor 8C comes with a super smart and powerful 13MP AI enabled dual camera. The technology used in this camera can identify and recognise over 500 scenarios in 22 categories to give you a perfect shot. You will be able to enjoy other impeccable camera features by purchasing the latest smartphone, Honor 8C online at Amazon.in. 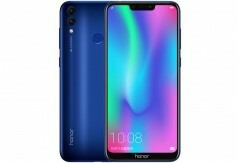 How to Buy Honor 8C?